Approximately 380 km & 7.730 m+. Six stages of pure mountain biking in a land with charm. 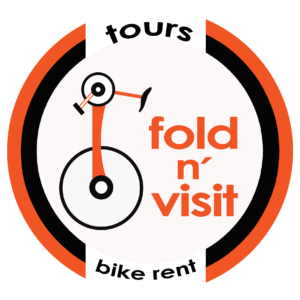 An amazing and fun route full of contrasts along Jaén and Córdoba. A unique race in Spain and one of the most outstanding in the world. UCI first class international competition shared with MTB stars. Supported by Olympic medallists José Antonio Hermida and Carlos Coloma. 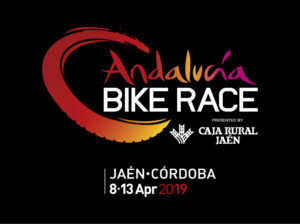 Andalucía Bike Race is a six day international mountain bike event comprising six stages of approximately 70 kilometers and 1.800 meters of climbing each. Past editions have seen a total distance of 413 kilometers and 9.730 meters of climbing. It takes place in the provinces of Córdoba and Jaén, being loop stages, starting and finishing at the same town. The overall standing is determined based on the aggregation of the daily times of each stage. In 2017 Andalucía Bike Race presented by Shimano has celebrated its seventh edition reinventing itself, changing its racing format from pairs to individual but maintaining its UCI (International Cycling Union) XCS1 distinction thanks to the success achieved in previous editions. This change meant a faster, tighter and exciting competition, gaining exposure and favouring the participation. The route has been slightly shortened to suit an individual competition. Andalucía Bike Race is an event with an astonishing routes which has contributed to its international standing and in which the world’s best mountain bikers take part. It’s also an accessible challenge for all the enthusiasts wanting to enjoy six days of pure mountain biking in an exceptional environment. There are only four other races of similar characteristics in the world. Andalucía Bike Race is one of the best mountain bike stage races in the world! The UCI (International Cycling Union) first class race, will have almost 380 kilometres and 7.730 metres of climbing and will be similar to the last edition. It will begin with a time trial, followed by five marathon stages. The race will begin with a time trial by the mining district of Linares, similar to the last and fun stage of the last edition. The second, also in Linares, will visit new places. The third stage will be the classic stage of Andújar, which serves as a day of transition between both provinces. The fourth stage will be raced in Villafranca de Córdoba and has been renewed. The fifth stage, in a locality of Córdoba, will be surprising. The sixth stage will return to the city of Córdoba, where Andalucía Bike Race presented by Shimano will end. Registration includes: • On-line and at site customer service. • Right to take part in the competition. • Personalised plate and start numbers. • Stage profile stickers. • Registration gifts. • Official jersey. • Finisher gift. • Farewell lunch (after the last stage). • Electronic timing and live tracking. • Electronic timing control device. • Course marking and marshals. • Sweep vehicles. • Liquid and solid feed zones. • Medical assistance on and off the course. • Bicycle washing area. • Guarded bicycle parking. • Cloakroom. • Toiltes. • Other free services at the paddock.